Hello, let me take a moment to introduce myself. 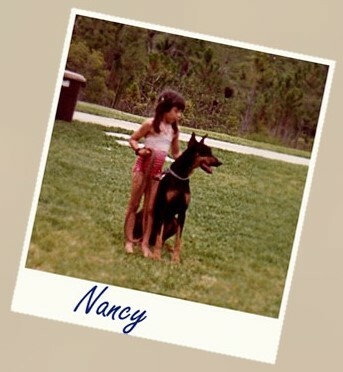 My name is Nancy, I have been training dogs professionally for almost 20 years but unofficially have been at it from the time I was a little girl. They say some things you are just born with, and the passion and understanding I have for dogs has been with me my entire life. My family always had Dobermans in the house, and they were always like best friends to me. I was also the kind of kid who would bring home every stray and try to help fix every animal in need. My true love and passion to help dogs began at a very young age but has led me to build my life and career around them. It was through my rescue work that I encountered some of the most severe cases of abuse, neglect and trauma that I have ever seen. Saving dogs that others have discarded, rehabilitating them, and then finding the perfect forever homes that they deserve has been one of the most rewarding things I have done in my life. I currently live in Greenville, South Carolina with my two Chihuahuas, Pit Bull/Italian Greyhound mix, American Staffordshire Terrier, Doberman Pincher, and my Clydesdale horse. I love everything about Greenville and am now proud to call it my home. Since moving to Greenville, I have begun a dog friendly meetup group called City Paws in the summer of 2012. It was a huge success and boasted 650+ members at the end of 2015. We had a full calendar of year round events and everyone always had a great time! Due to my training and dog rescue demands I now list any group events on the Pawsitive Results Facebook Page. You can navigate to our upcoming dog friendly events by clicking the “Events” tab on the main page. In the Spring of 2013, after volunteering at Greenville County Animal Care, I began a program called Foster Friends. Foster Friends is a network of local individuals and families who volunteer in many ways to help local animals in need. Some of the volunteer opportunities available to our “Foster Friends” are temporarily fostering animals in need, Walking or hiking with our available dogs in order to meet potential adopters in our community, and volunteering at our adoption events! For more information on Match K-9 Rescue or Foster Friends see our “Match K-9” tab. 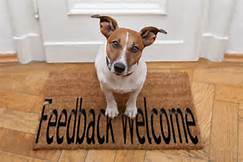 I have had so much fun helping people and animals throughout my life and I now look forward to helping you build a better relationship with your dog and improving your dog’s quality of life!